The U53 Ultrasonic Sensor requires no maintenance and is designed to provide years of uninterrupted service. 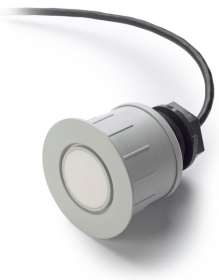 To minimize temperature effects, it has a short blocking distance or less than 10 inches (250 mm) so the sensor can be installed close to the water surface. Depth: 0.82 - 19.68 ft. (0.25 - 6.0 m). Air Temperature: -40 to 176° F (-40 to +80° C). 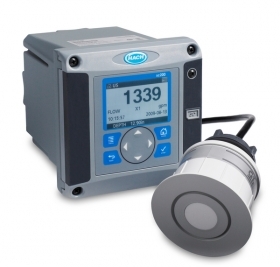 For use with Hach sc200 Universal Controller with Ultrasonic Flow Sensor. ​Non-Contact Ultrasonic Flow Sensor with pulse echo technology requires no routine maintenance. ​Select primary gauging structure from large library of flumes and weirs for flow sensor set-up or enter a flow curve for non-standard structure.